Marjorie Pizer, who died on 4th January 2016, was a poet, editor, psychotherapist and Communist who was proud of her Jewish heritage. She was born in Melbourne, Victoria, studied literature at the University of Melbourne and graduated with a Bachelor of Arts. Marjorie married the poet Muir Holburn. They moved to Sydney where they joined the Realist Writers and the Fellowship of Australian Writers, befriending Dame Mary Gilmore, Katharine Susannah Prichard, Dymphna Cusack, Miles Franklin and other Australian authors. They joined the Communist Party and in 1947 set up Pinchgut Press to publish poetry and novels by authors who were unable to get their works published by the major publishing houses. Pinchgut Press is still publishing. Marjorie edited ‘Freedom on the Wallaby, Poems of the Australian People and The Men Who Made Australia, Stories and Poems by Henry Lawson. Muir died suddenly in 1960 and, to cope with her bereavement, Marjorie started writing her own poetry. The first of her poetry books,’Thou and I, was published in 1967. 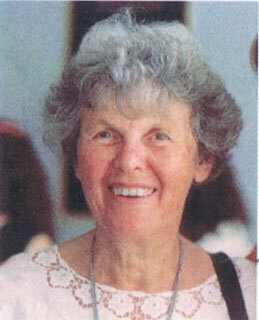 Marjorie published many books of poetry. Her poems were regularly published in The Sydney Morning Herald, The Bulletin and The Australian Women’s Weekly. Marjorie’s close friend, Faith Bandler, said of her poems: ”I really feel they’re my poems, not hers. If I could do it, this is what I would be writing. She has a great simplicity, she doesn’t try to be so sophisticated that no one understands”. Marjorie’s last book was a Poet’s Life which comprises 133 poems spanning her career from 1963 to 2005. This entry was posted in Marjorie Pizer and tagged Australian poetry, Australian Womens' writing, Pinchgut Press by Mark Roberts. Bookmark the permalink.